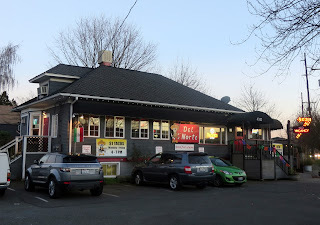 Not that I don't enjoy the yummy tacos at Kittie Davidovich's El Borracho establishments in Pike Place Market and Ballard, but we were sadly disappointed when she also converted the cajun and creole cuisine of Le Bon Ton Roule into yet another Borracho. The food, the drinks, and the breezy New Orleans roadhouse feel were unique in the Seattle area. It was even more sad when this version of Borracho closed shop a year later. C'est la vie.